The IsoTek Power range starts with the Power Cables; The Premier, Elite and Optimum. One of the most cost-effective upgrades you can buy for any high-quality audio system, Aquarius is a multi-award-winning six-way mains conditioner that redefined the power cleaning market. Two high-current outlets are provided for amplifiers, sub woofers and so on, with four medium-current sockets for other components. Removes Common Mode and Differential Mode mains noise. Six unique conditioning stages ensure optimal isolation between all outlets, eliminating Differential Mode cross- contamination. KERP© (Kirchoff’s Equal Resistance Path) ensures equal resistance and equal power delivery to all outlets. No outlet gets power before the next, a common problem with other power products which daisy chain outlets together. 67,500A of instantaneous protection, featuring IsoTek’s unique sequential protection system. Internal wiring; solid core silver platted OFC copper with FEP and virtual air dielectric technology. Two high-current outlets delivering 3,680W continuous. 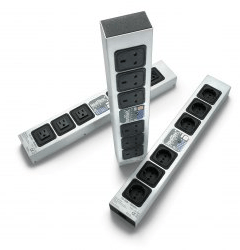 Four medium-current outlets delivering 1,150W continuous power. Available in UK, EU, US, AU, CH and ZA sockets. Aquarius is the long-awaited successor to the famous Mini Sub, arguably the best-known mains conditioner in IsoTek’s highly respected catalogue. The original Mini Sub was launched in 2003 to universal acclaim, and its eventual replacement – the GII Mini Sub – was held in even greater esteem, earning no fewer than 9 awards from prestigious audio publications around the world. Autumn 2009 sees the launch of the next generation, building upon the success of its illustrious forebears and benefitting from IsoTek’s continuous R&D programme to set another new performance benchmark. Like the Mini Sub before it, Aquarius is a six-way mains conditioning component that sits squarely in the middle of IsoTek’s range, above the likes of the entry-level Sirius and below the high-end Sigmas, Nova and Titan. It sports two high-current and four medium-current outlets, all individually filtered and fully isolated from one another, together with a newly designed aluminium casing and host of enhancements under the lid, some trickled down from IsoTek’s top-end components, others newly developed and made available for the first time in Aquarius. Current delivery is greater than the GII Mini Sub, with a full 16 Amps available from its two high-current outlets, ensuring musical transients are entirely unrestricted. Thermo-magnetic fusing contributes to this enhanced delivery, as does the use of a 16A IEC C20 inlet to connect Aquarius to the mains. Easily distinguished from standard IEC plugs and sockets because their pins are horizontal instead of vertical, IEC C20 connectors enable superior current delivery compared to the C13 plug and C14 socket most commonly found on audio equipment. The four medium-current outlets now feature IsoTek’s Adaptive Gating technology – an auto-sensing filter stage that adapts to the current draw of the load, thus tailoring the filtering process to suit the component attached to each individual outlet. 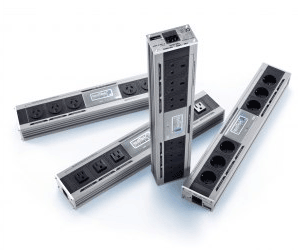 This proprietary technology first appeared in the high-end Nova and Sigmas power conditioners; Aquarius delivers it at a significantly lower price. Also new for Aquarius is K.E.R.P. (Kirchoff’s Equal Path of Resistance), a technology specially developed for IsoTek’s latest EVO3 generation of power conditioners. This engenders a pure, symmetrical signal path throughout the unit, without interference from one socket to the next, thus helping to deliver a more coherent sound. Further enhancements are made by an all-new choke design, incorporating improved magnetic material and enabling increased frequency bandwidth; the independent filter stages have also been improved throughout. Even the sturdy new aluminium case plays its part in raising performance levels, its massive ground plan allowing it to act like a Faraday cage when closed, thus providing further shielding from electromagnetic radiation (EMI). It’s not just about sonic enhancement, however; Aquarius delivers greater protection from spikes and surges, too, with a massive 67,500 Amps of instantaneous and repeatable protection. The fact that it is repeatable is important: many mains filters have protection circuits that trip and need resetting manually. Or worse, they trip once and stay tripped, despite allowing the system to play, thus providing no protection at all, unbeknown to the end-user. What’s more, compare the Aquarius to the GII Mini Sub and it is clear that the gains are considerably greater with the new unit. The sound appears more dynamic, rising out of a quieter background, and the music connects with the listener more emphatically as a result. IsoTek has achieved its objective: Aquarius sets a new mains conditioning benchmark below £1,000. IsoTek does not believe in suppling or including poor quality £1.00 black plastic power cables with its products. The EVO3 Sigmas offers 4 medium power outlets, now rated at 10A and 2 high current driven by a paired down version of Titan’s Direct-Coupled© conditioning network. It represents an extremely cost effective full system upgrade. Removes both Common Mode and Differential Mode mains noise. Six unique conditioning stages ensure optimal isolation between each outlet, eliminating Differential Mode cross contamination. Internal wiring; solid core silver plated PCOCC with FEP virtually an air dielectric. Two high-current outlets incorporate part of Titan’s Direct-Coupled© circuit and deliver low impedance 3680W of continuous power. 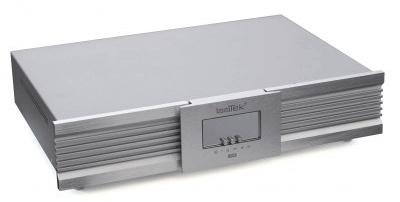 Four outlets, now rated at 10A feature IsoTek unique Adaptive Gating© circuit, which auto-senses the connected electronics and provides the optimal level of conditioning required at a maximum 2300W of continuous power. LED Display showing voltage and THD distortion of the mains. Available with UK, EU, US, Australian, Swiss and South African outlets. The EVO3 Sigmas still combines the technology from the award-winning Titan and the well respected Nova into a single chassis product, now with a ten-fold improvement in both Common Mode and Differential Mode filtering, essential for the increased use of electrical devices, wi-fi networks throughout our homes, and mobile phone data streaming. Differential Mode filtering has also been enhanced by improved material application throughout IsoTek’s unique components, developed specifically for purpose. The medium current side of the EVO3 Sigmas has an increased 10A capacity, allowing for the use of a wider range of electrical equipment. Whilst designed with high quality audio replay in mind, the enhanced amperage and Adaptive gating system, (which auto-senses the load) permits the use of plasma screens, projectors, media centres etc. The printed circuit board features 24ct gold plated 2oz copper for improved reliability and signal transfer. The internal wiring has also been upgraded to IsoTek’s newly developed UPOCCP, (Ultra Pure Copper by Ohno Continuous Casting Process) solid core internal wire. This technology has been applied to the manufacturing of single crystallized copper with the process of heated mould continuous casting. The resulting product has small rods of OCC pure copper, from which the wire can be drawn and which can have copper grains of over 700 ft length. IsoTek then silver plates this already statement purity copper before winding a strand of FEP Teflon around the solid conductor creating a dielectric of virtual air, over which a secondary FEP Teflon tube is extruded. Lastly the EVO3 Sigmas features 108,000A of instantaneous protection. IsoTek’s unique advanced protection system uses a pyramid array of VDR devices that offer protection and react more aggressively as the fault becomes more dangerous. EVO3 Sigmas is supplied with IsoTek’s award-winning EVO3 Premier mains cable. Your chance to enter IsoTek’s innovative and multi award-winning range of power conditioning solutions. Polaris is a cost effective upgrade to any audio or audio-visual system, delivering improved performance, protection and astonishing value for money. Internal wiring; multi-strand silver platted OFC copper with PTFE dielectric. Sirius is a high-performance, multi-award-winning power bar, which protects and improves your precious audio components. A special wall bracket system allows Sirius to be mounted discretely behind your audio system. Independent outlets – no outlets are connected together, stopping Differential Mode mains noise cross-contamination. Unique Inductive Resistance Gate© optimises the isolation between each of the six outlets. KERP© (Kirchoff’sEqualResistancePath) ensures equal resistance and equal power delivery across all outlets. No outlet gets power before the next, a common problem with other power products which daisychain outlets together. 22,500A of instantaneous protection, featuring IsoTek’s unique sequential protection system. The Sirius is designed to deliver an affordable, high-quality, one-stop mains conditioning solution for audio and AV set-ups, Sirius features six high-quality unswitched outlets to power a complete system. Sirius is part of IsoTek’s® latest EVO3 product range, and as such boasts a number of sophisticated conditioning technologies. Specially developed for Sirius and unique to IsoTek®, Inductive Resistance Gate© optimises the isolation between each of the six outlets without compromising transient power ability. Also new is K.E.R.P.© (Kirchoff’s Equal Resistance Path), a technology developed from IsoTek’s® high-end Titan and Nova mains conditioning units to ensure optimum power sharing from one socket to the next. At its price, Sirius is unrivalled in its ability to ensure that the power supplied to every system component is free from the kind of mains-borne interference that significantly erodes the performance of all hi-fi and home cinema equipment. With its rugged aluminium case, the six-way Sirius is built to last. And, thanks to class-leading protection circuitry, including 22,500 amps of instantaneous current absorption, it will ensure your audio equipment is safe from power surges.